Although well established as a major leather producer, Gruppo Mastrotto has also branched out into other areas, bringing the same professionalism and expertise that have distinguished its other operations worldwide. 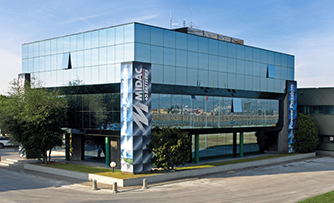 Midac Spa, founded in 1989 and based in Soave (near Verona), designs and manufactures stationary and traction starter batteries in their entirety. The company has adopted an Integrated Management system, which combines Quality, Environmental and Safety certification with ISO/TS 16949 compliance, specifically for suppliers to the automotive industry. Focussing on efficiency and improvement, Midac has adopted the Lean approach in its processes, and has now established itself as an important player in the European market. The Arciso Mastrotto Foundation is based in Arzignano and operates locally and in developing countries, promoting humanitarian initiatives to spread the values of community, tolerance and mutual respect. It works in a range of fields, from health to culture and education.